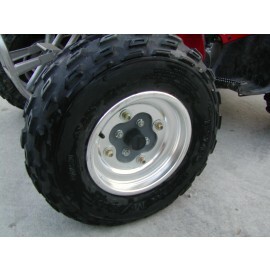 Diamond J Customs Wheel Conversions are the SOLUTION to putting BIGGER wheels on a SMALLER ATV. 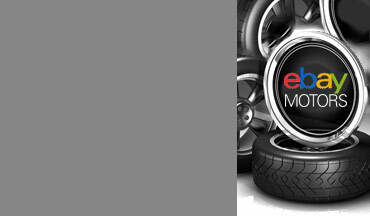 Each Wheel Conversion is made with Multiple Size Conversion Options, allowing more compatibility when it comes to choosing aftermarket wheels to install. 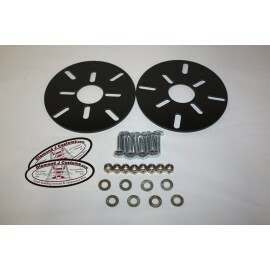 These kits require no cutting or welding, and can be installed easily in an afternoon for a typical home mechanic. 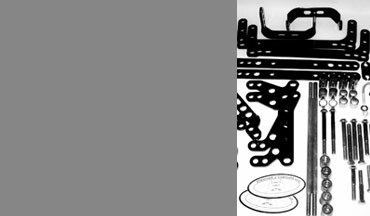 Steel plates are precision cut with a LASER for accuracy. 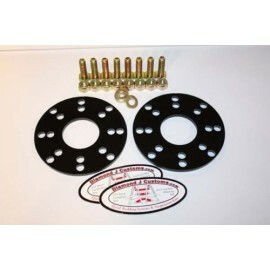 Plates are 1/4" thick. 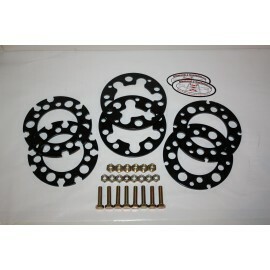 These kits come with industrial strength black powder coat finish. Kit components go through a seven stage chemical dip cleaning process, electro-statically dipped in black paint, baked, then powder painted and baked again to a super high-strength gloss-black finish. 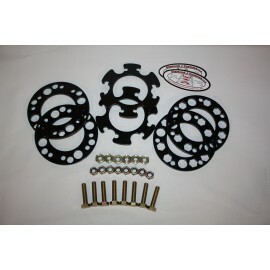 All the mounting hardware shown is included (tires and wheels not included). 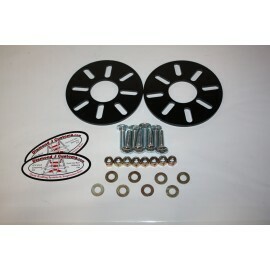 The hardware uses nylon insert-collar lock nuts to resist vibration and prevent loosening of the assemblies. We've never had to retighten a piece of hardware on any of these kits even after running motocross races for months.